For us, a good lamp is a successful combination of technology, function and design. As a responsible and forward-looking manufacturer, we actively focus on all aspects of lighting technology. LED technology redefines the standards and evaluation standards that have been achieved and creates unparalleled possibilities for light design. The sum of its advantages makes this technology a milestone in lighting technology. We take advantage of LED in the development of new lamps and are also improving the technology of existing lamps. In doing so, we went far beyond the applications that are commonly expected in the marketplace. We do this in a responsible, competitive and proportional way – but most importantly, reliable. After all, reliability and high standards of product quality are our fundamental values and beliefs. 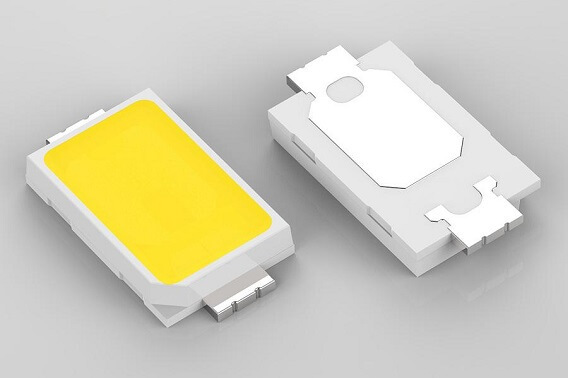 When processing and selecting our LED components, we strictly follow our own ideas and do not let ourselves be misled by other common standards in the market. In order to achieve these goals, we created all the necessary conditions, including the best production process. All LED lamps are equipped with modules that fit them perfectly and are manufactured in our own premises. We control all the materials used, so we are not forced to make any compromises. We are responsible for defining the light output, light color and heat management factors of the lamps, which directly affect the quality of the lamps. Our LED modules are expected to achieve maximum service life. The aging process of electronic components, especially light-emitting diodes, is a function of temperature. The higher the temperature of the component, the shorter the expected service life. Therefore, thermal management is a huge challenge in our lamp development. In addition to using high quality components, we have taken design-related measures to ensure favourable temperature conditions within the luminaire. This results in a significant increase in LED life. In addition, electronic protective equipment prevents individual components from overheating. We have deliberately designed the temperature control in the luminaire to be very conservative – our LED module temperature is significantly below the maximum temperature. The light colour of a lamp is described by the colour temperature in Kelvin [K]. Common lamps have a colour temperature in the order of below 3500 Kelvin = warm white, 3500 to 5500 Kelvin = neutral white, to more than 5500 Kelvin = daylight white. Our strict quality standards ensure that our LED modules have a maximum deviation of three to five MacAdam ellipses from the specified colour coordinates. The international electrotechnical commission (IEC) has established standard operating methods for LED lamps and LED modules. These standards define quality standards and are often compared to evaluate effective measurement requirements. The terms and explanations used in the data sheets and instructions on this website are based on this. The most important parameters are described below. Sometimes we use other terms to improve our comprehension. The luminous flux (Φ) of an LED module measured in lumen (lm). This value defines the luminous flux which is created by an LED module at an ambient temperature of 25 °C. The luminaire luminous efficiency is the quotient of the emitted luminous flux and the electric power consumedby the luminaire. The value is expressed in lumen per watt (lm/W). The term warm white is used up to 3,300 K, neutral white from 3,300 K to 5,300 K, and daylight white over 5,300 K.